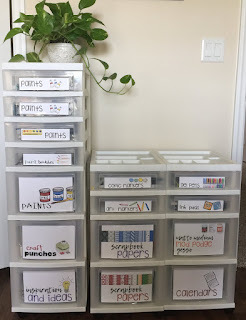 Keeping order and being organized can help with daily routines and tasks at school and home. Make your classroom beautiful, inviting and thoughtfully arranged. Natural lighting and uncluttered spaces set the stage for activity that is focused and calm. Learning supplies and materials are respected and cared for - this is a key element to creating an optimum learning environment. 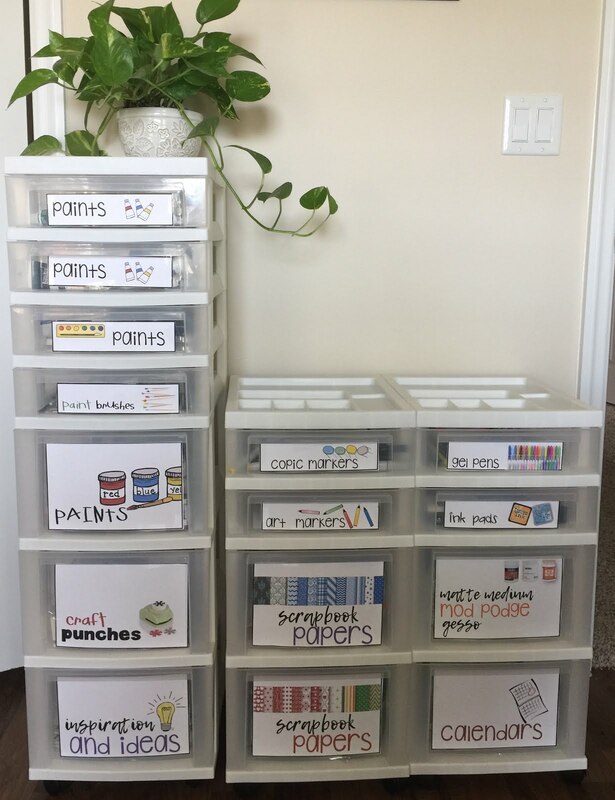 Learning materials are placed in containers, carts and shelves and fosters independence in students. Everything is where it is supposed to be; everyone knows it's place and everyone shares the classroom materials and supplies. When the work space is designed in this manner, it conveys a sense of harmony and order. It comforts and inspires. 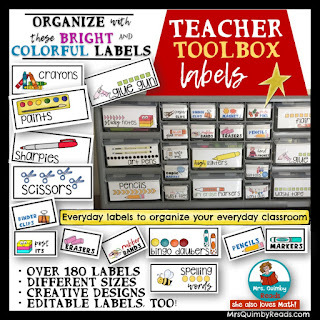 And these labels, can help do just that! 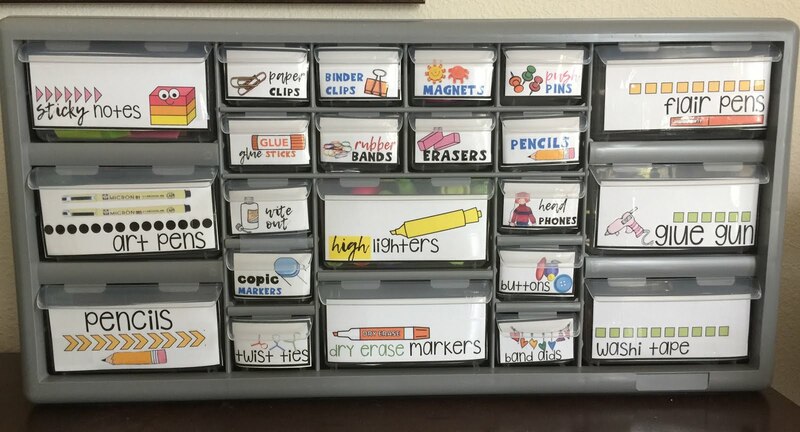 Through your organization and labeling, you will model high standards, good work ethic and responsibility for school materials. of December. 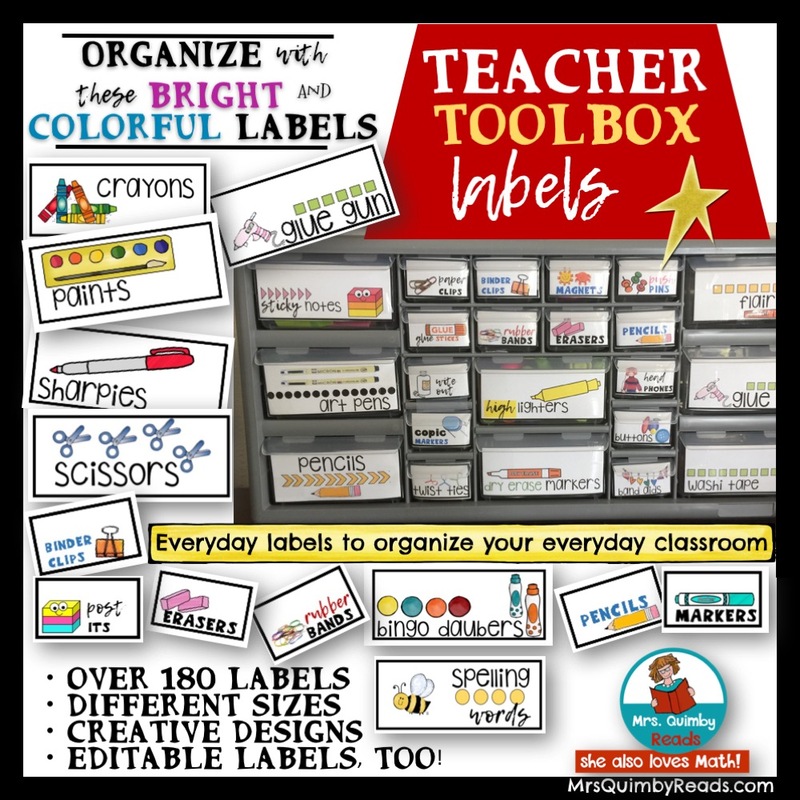 180 + different labels for your teacher toolbox and classroom. Labels come in 5 different sizes for different drawers, bins, carts and containers. 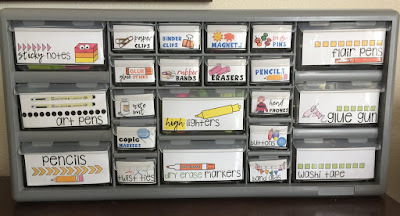 Also included is a file with links to the teacher toolbox, carts and drawers I have used with these labels. Why Do You Need These Labels ? and it's a great New Year's resolution! Over 180 labels total! Editable labels included, too! Colorful, bright art designs... easy to read, nice to look at! 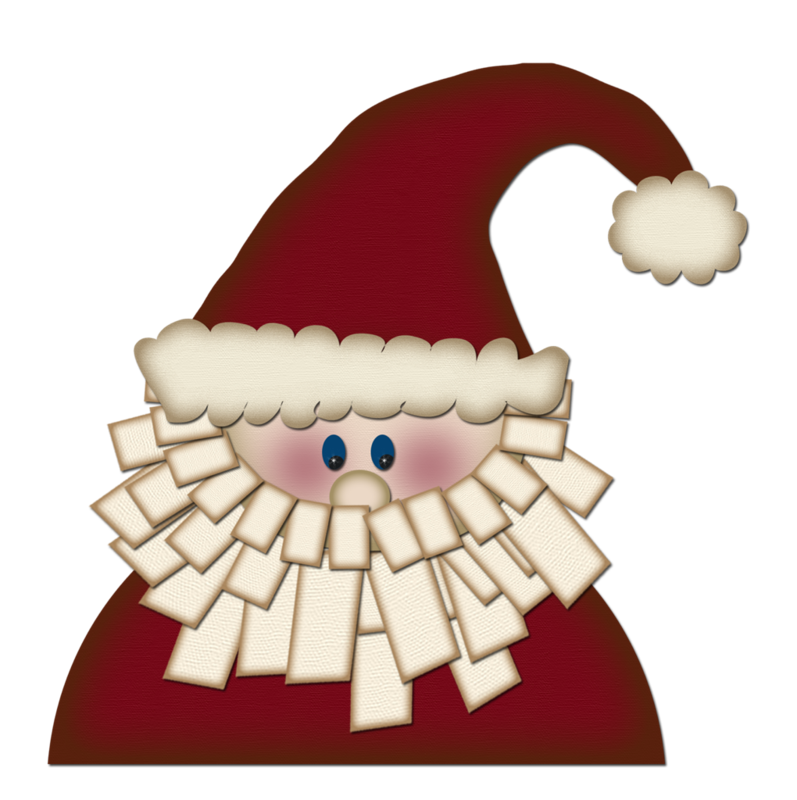 Download, print, cut and laminate. 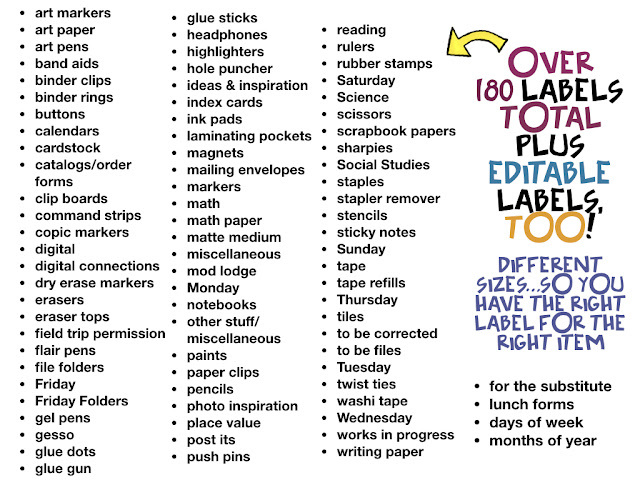 These labels will help children and teacher find supplies and put them back in the right place. Why do you want to purchase them now? Because they are 50% off now and the prices will go up to the regular price in January. Grab Yours HERE right now! "A place for everything and everything in it's place." These labels are colorful, beautiful and practical. All new teaching resource listings are 50% off for the first 24 hours. Follow for notifications for new listings, sales and updates. Follow right HERE. and they are only $3.00! !